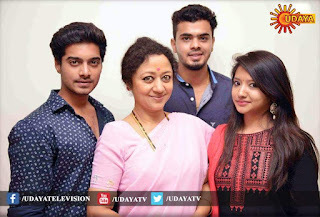 Sandalwood actress Sudharani has made a comeback to the small screen with the serial Aramane, which will be aired from April 11 at 7:30pm, on Udaya channel. The serial has been directed by M S Jayanth. She was also recently seen in the talk show Weekend with Ramesh. Sudharani is playing the role of daughter who tries to reunite their parents, who will be living separately. The serial also sees Jai Jagadish in an important role.